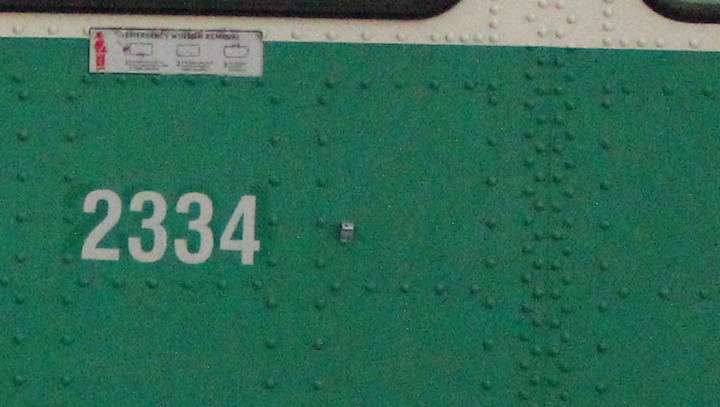 B END NUMBERS BEING ADDED!!!! 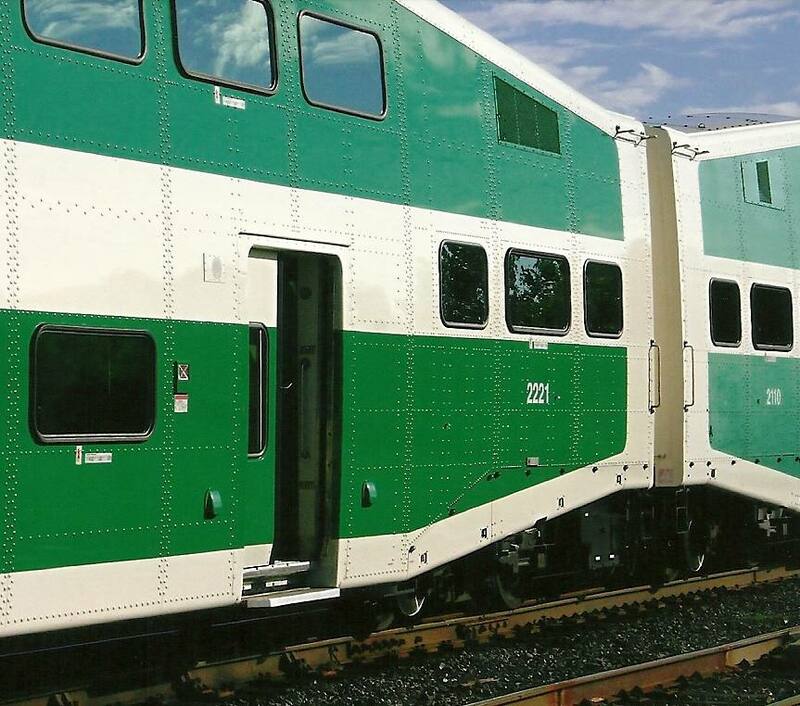 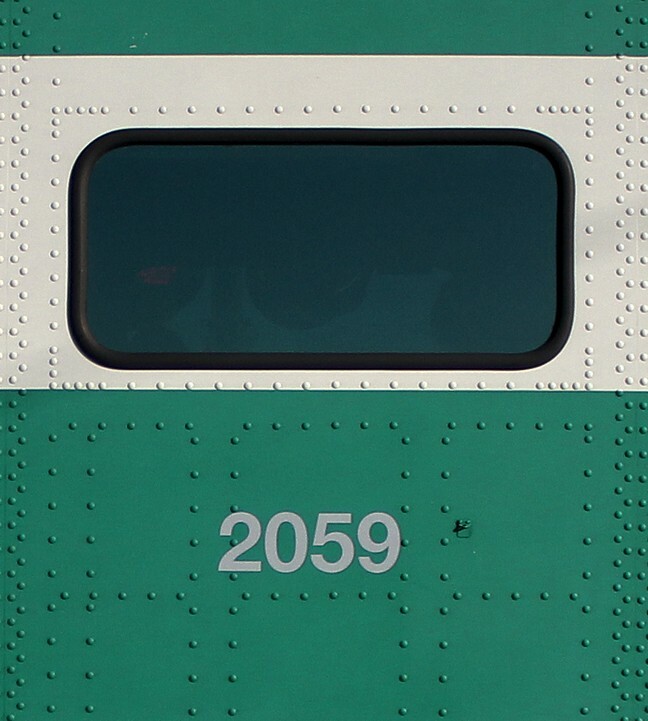 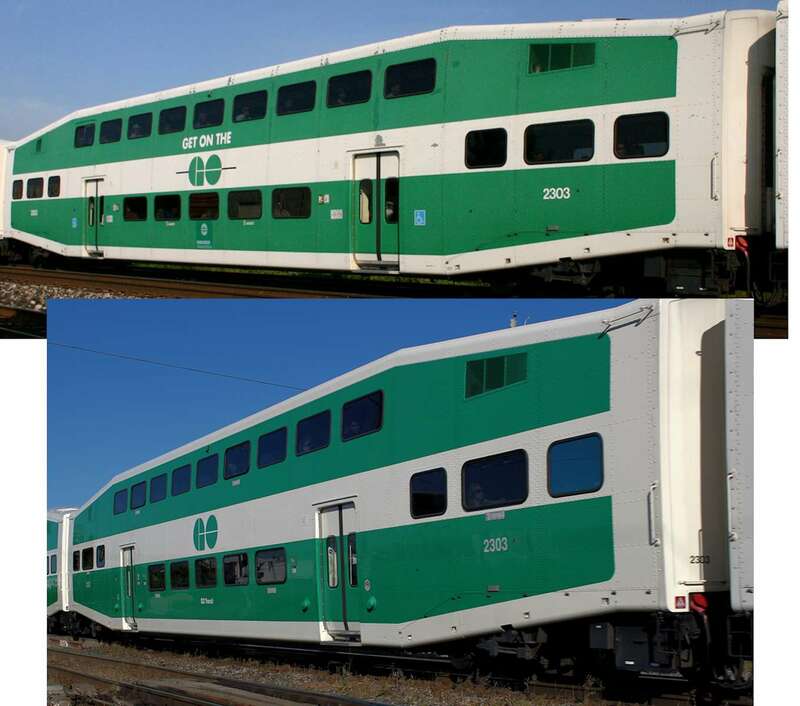 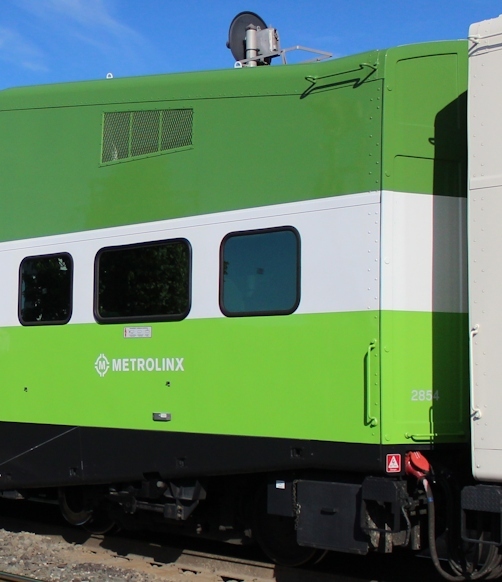 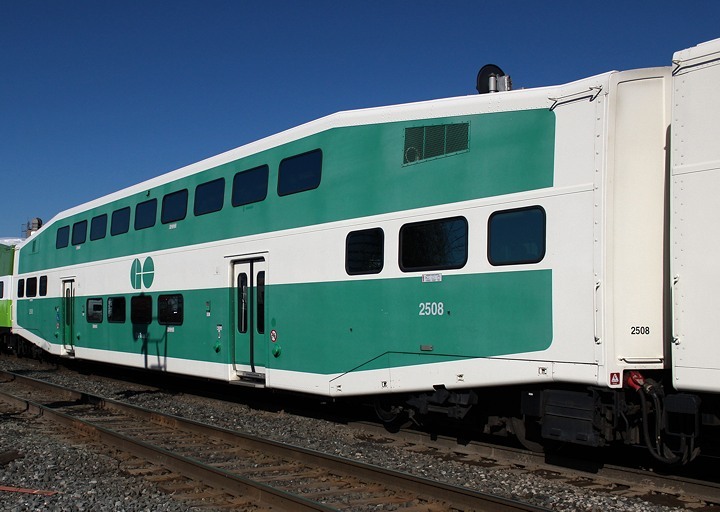 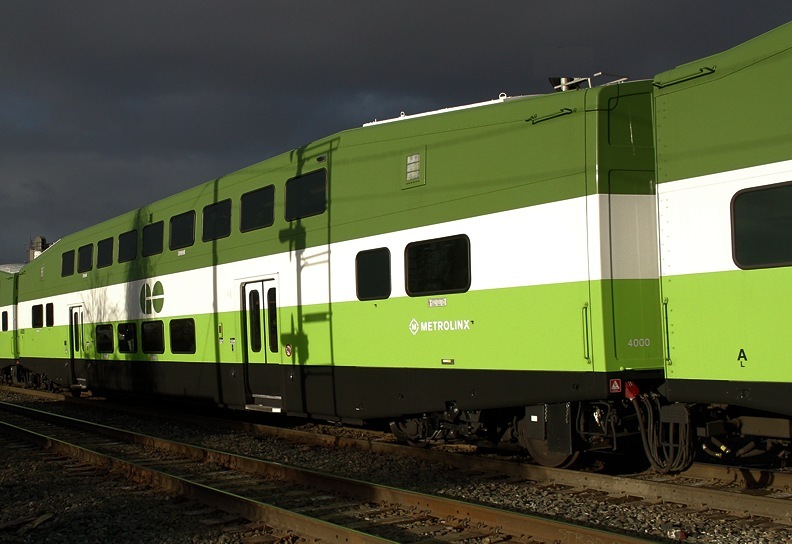 GO 2039 - Last bi-level refurbished by CAD in Montreal - equipped with fabric seat cushions & work tables with a power supply for lap tops. 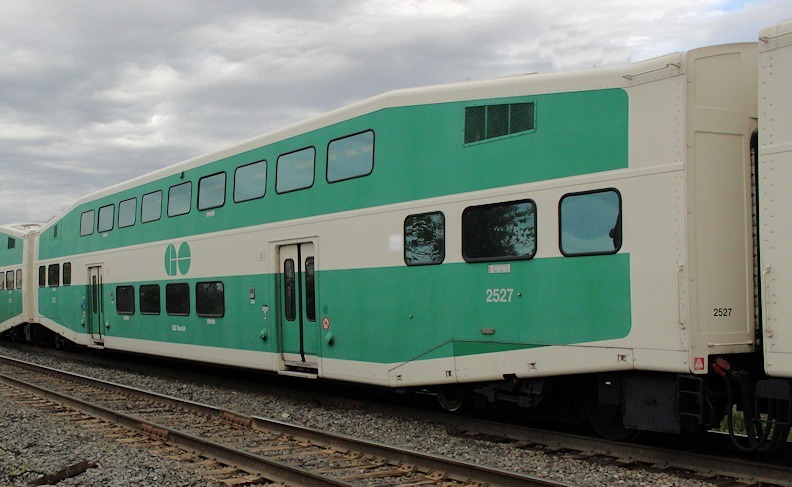 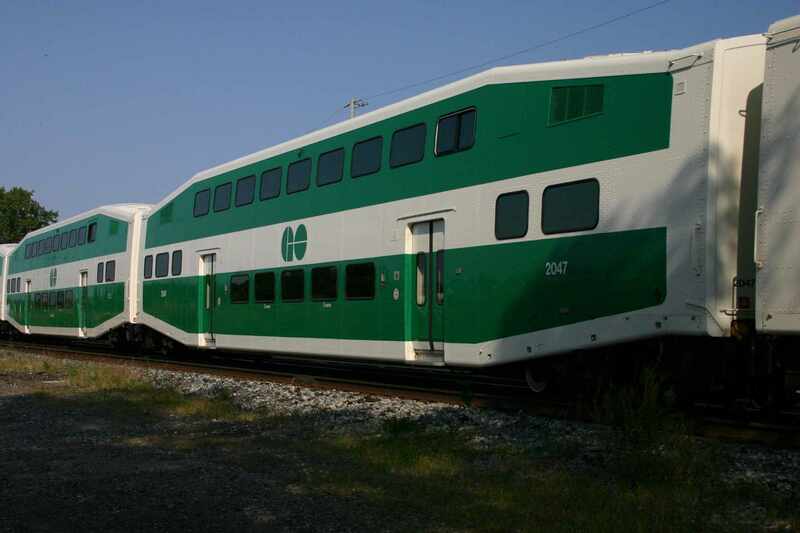 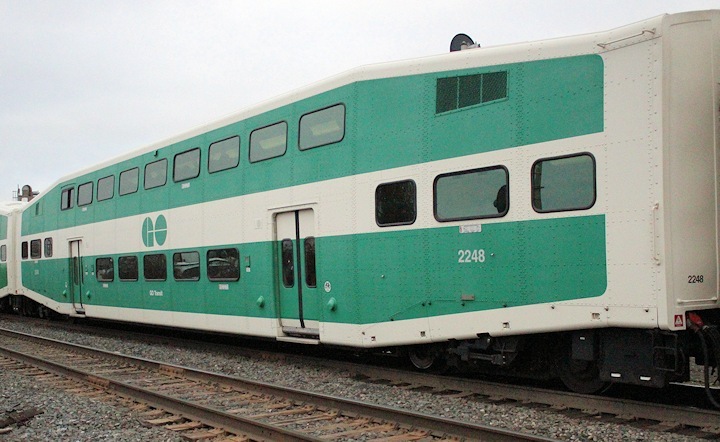 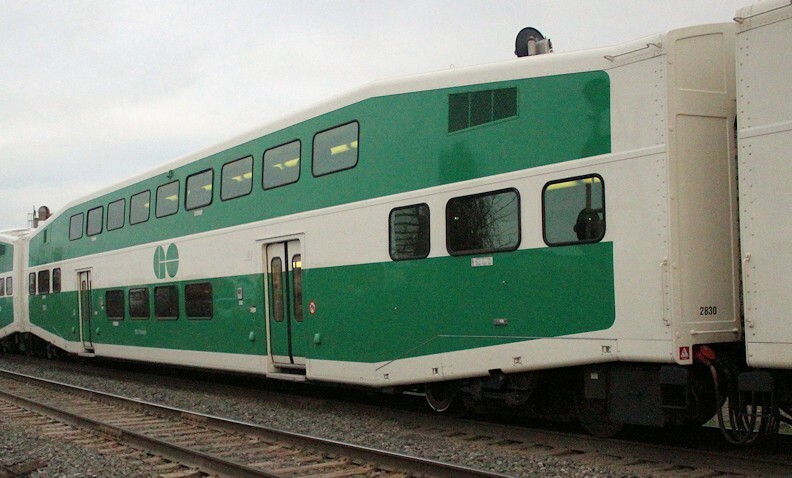 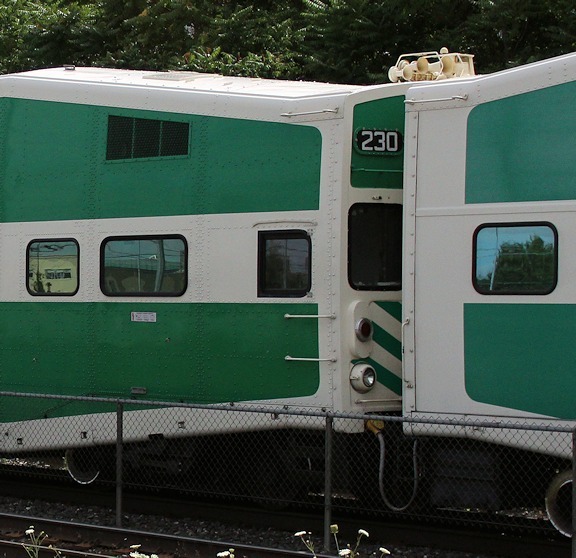 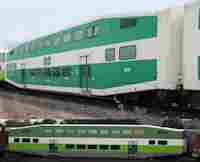 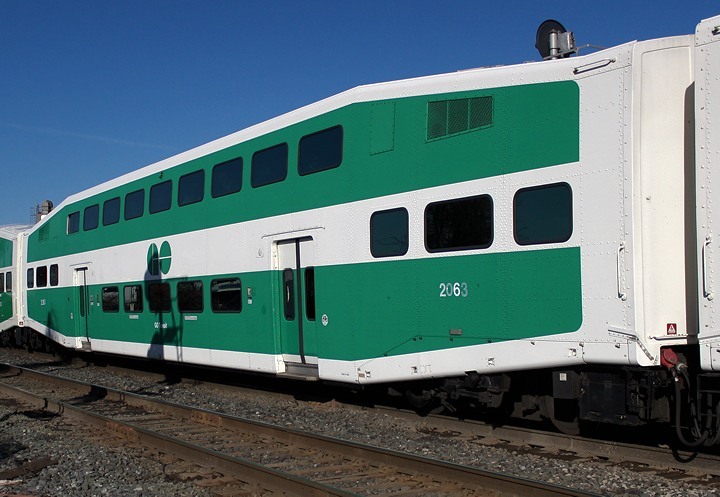 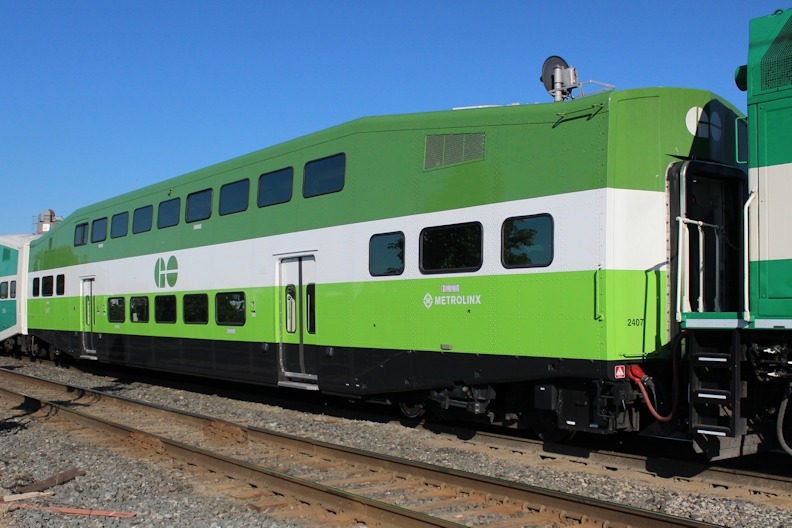 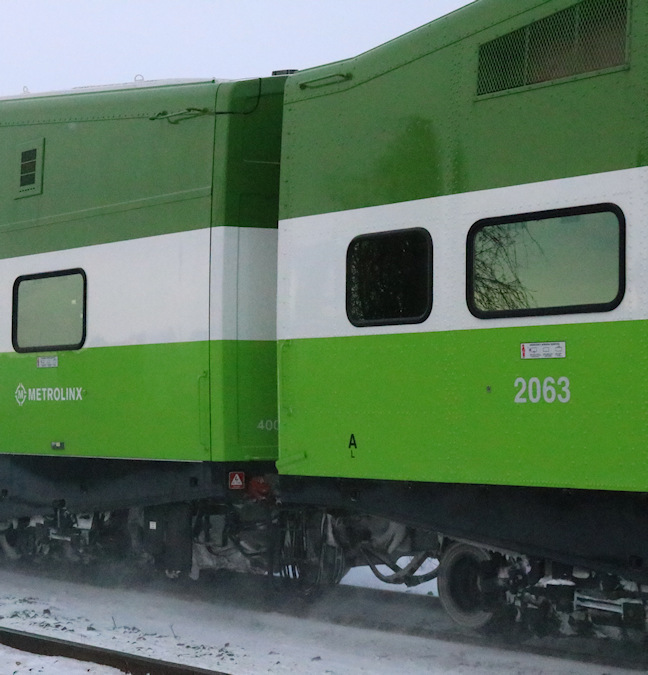 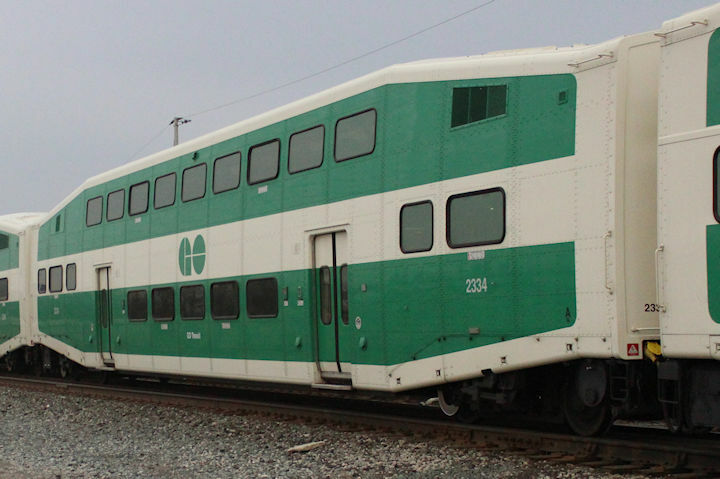 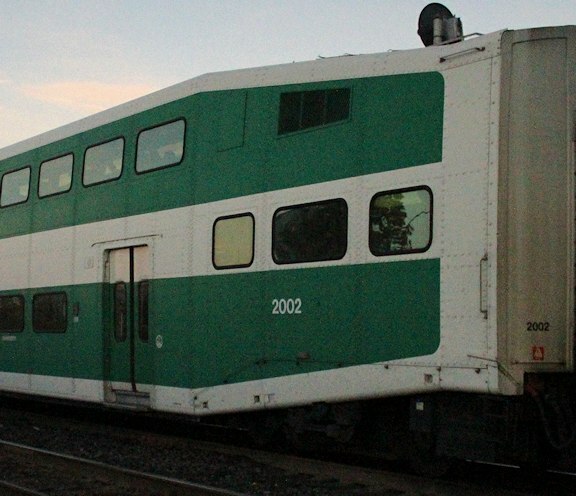 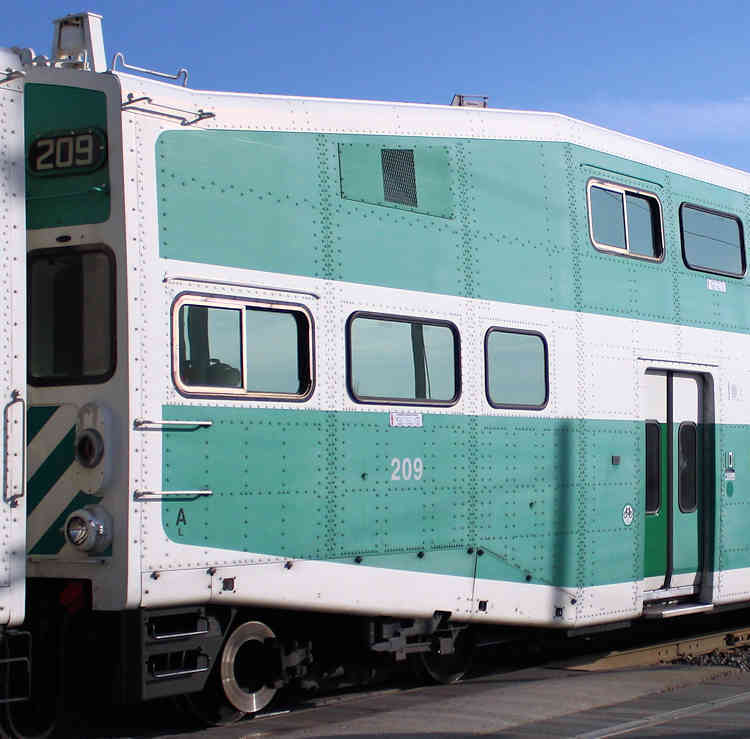 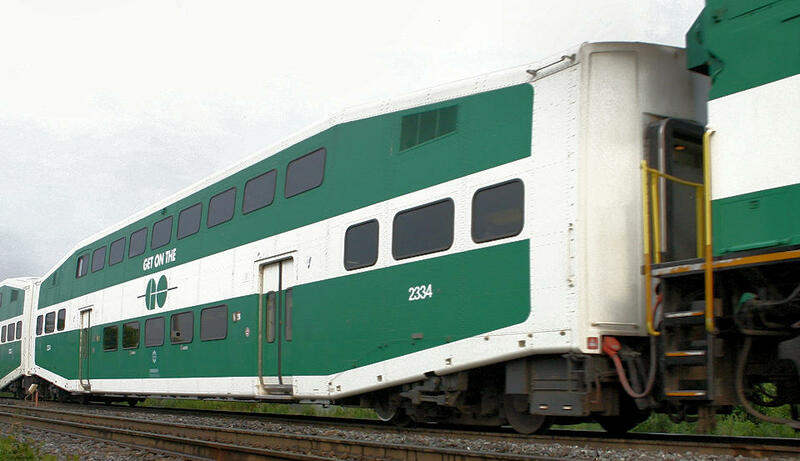 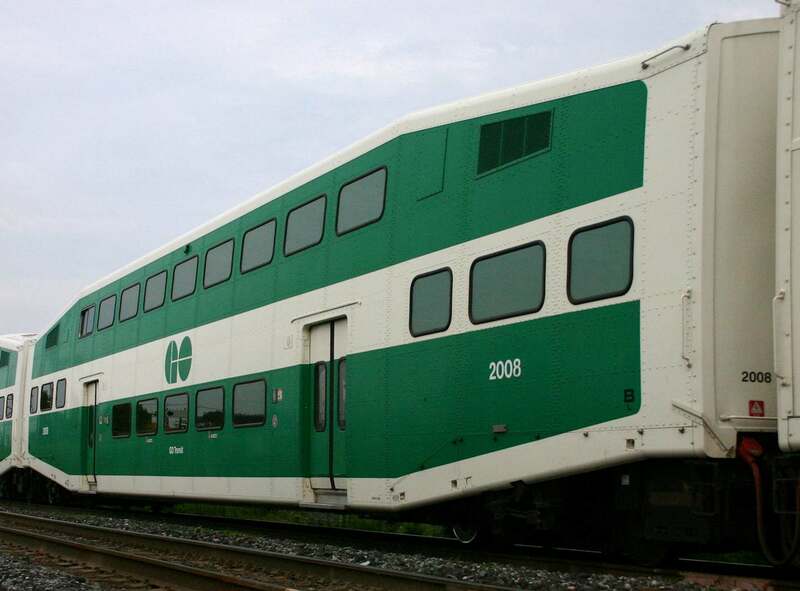 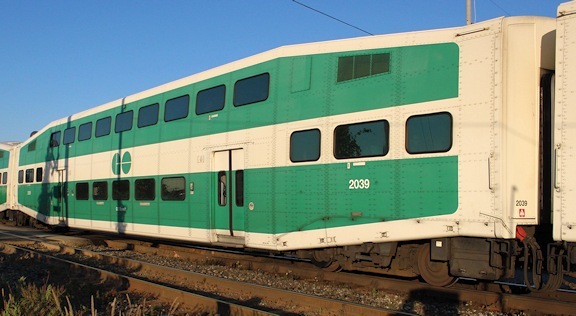 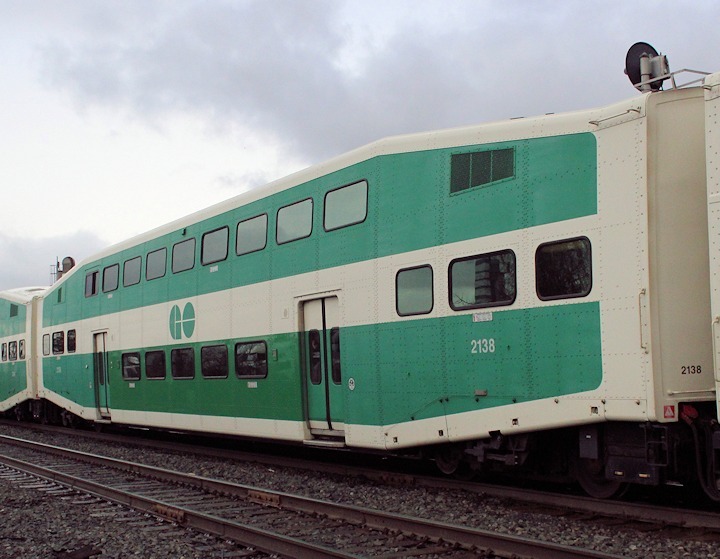 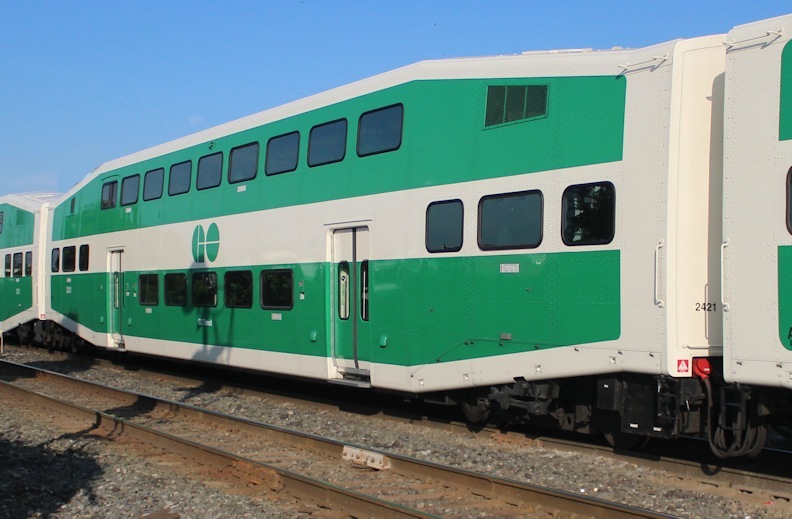 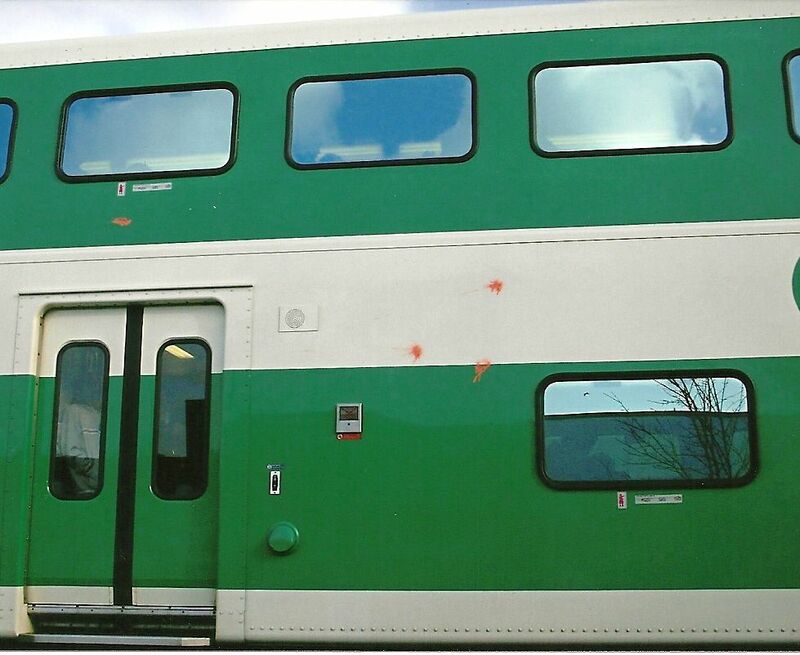 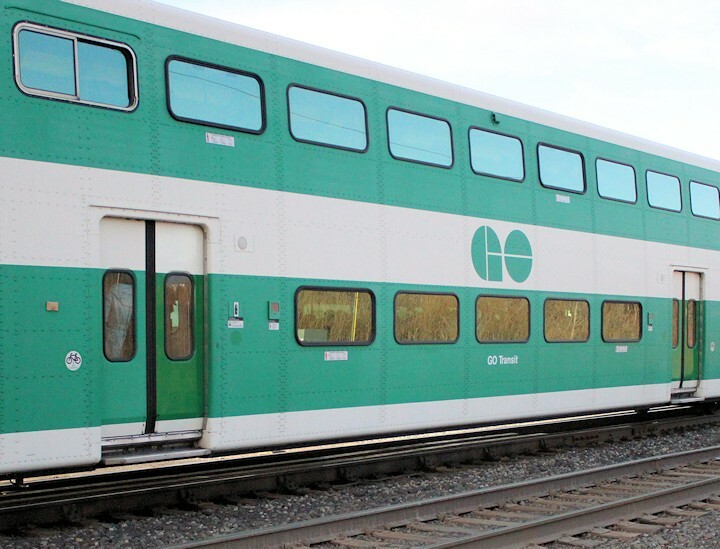 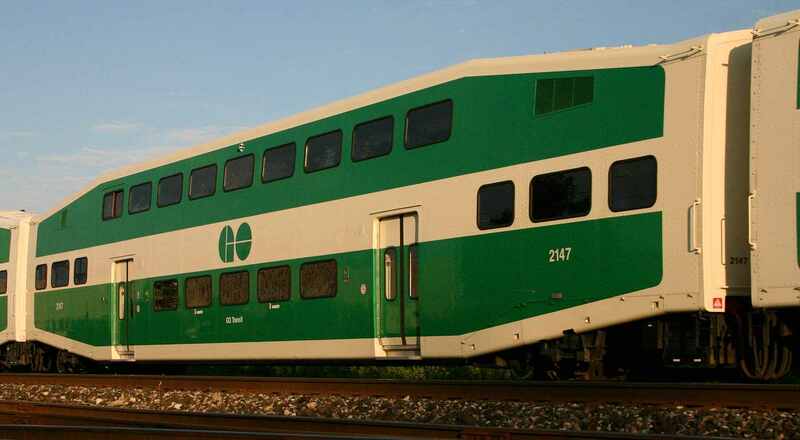 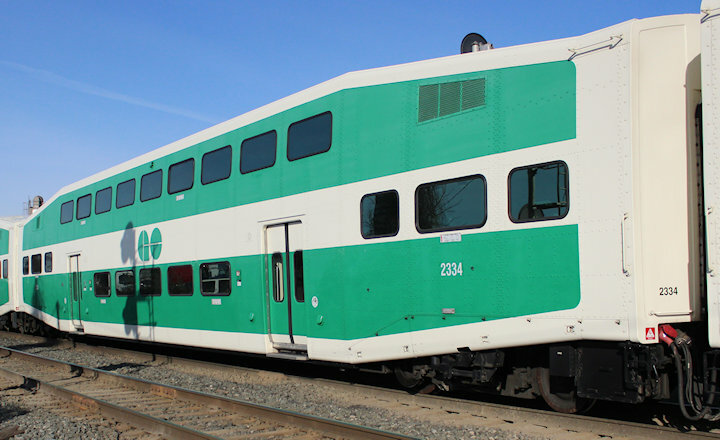 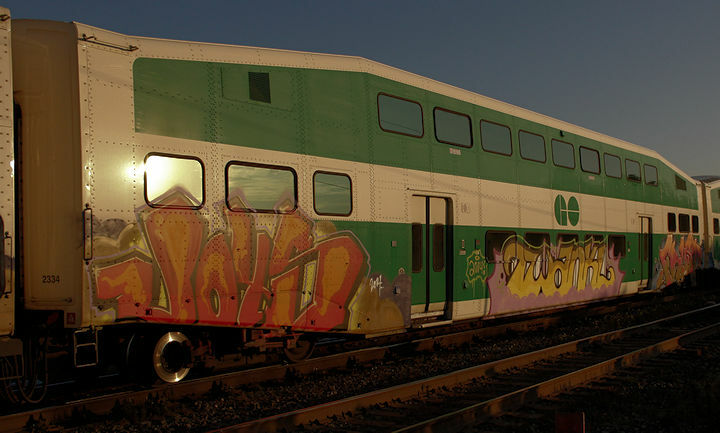 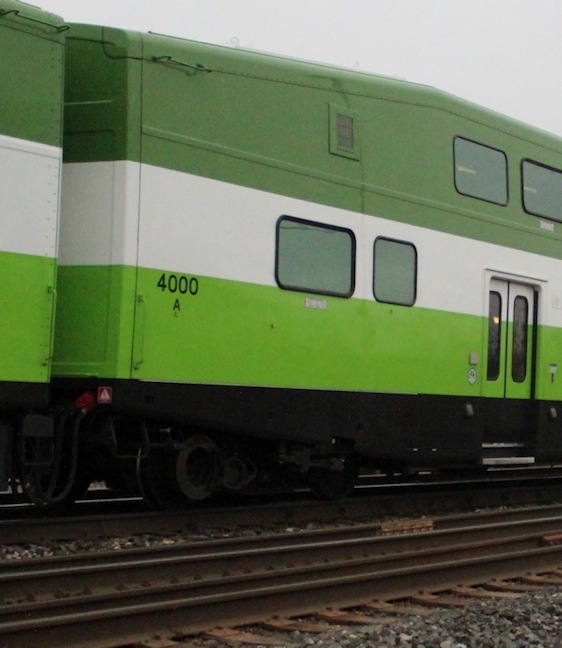 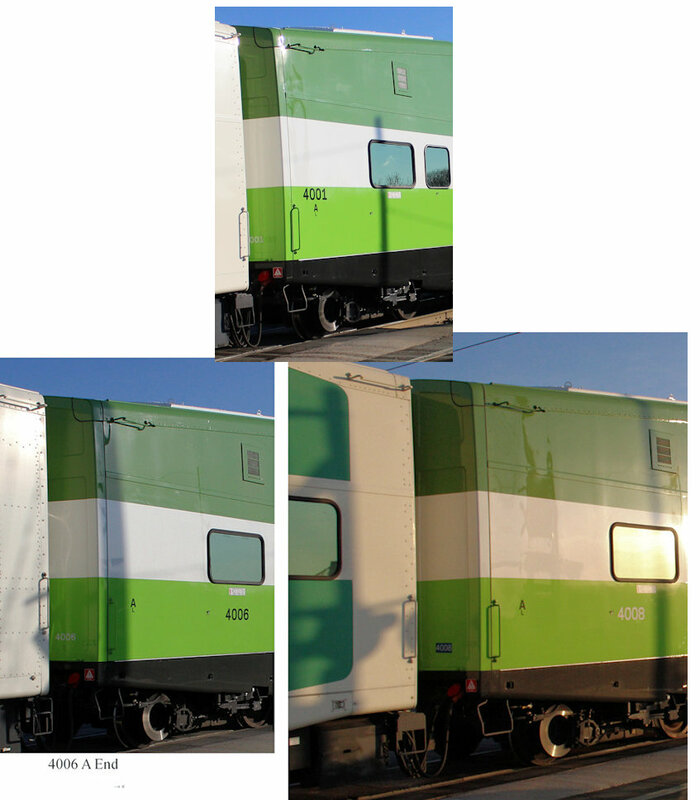 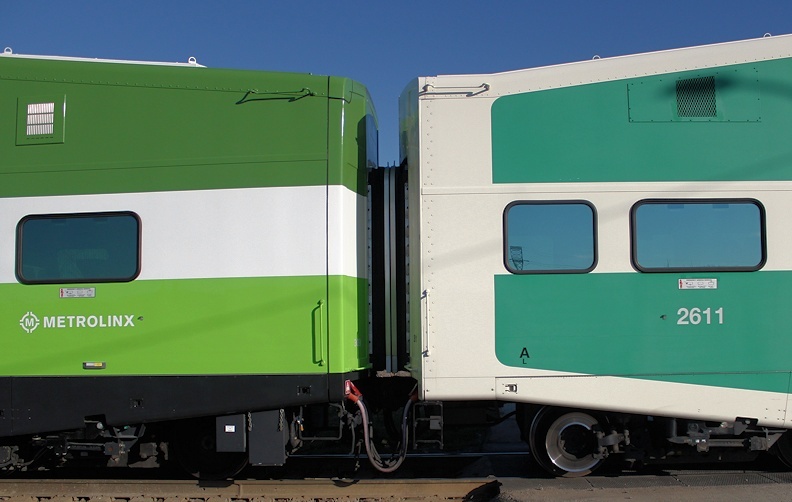 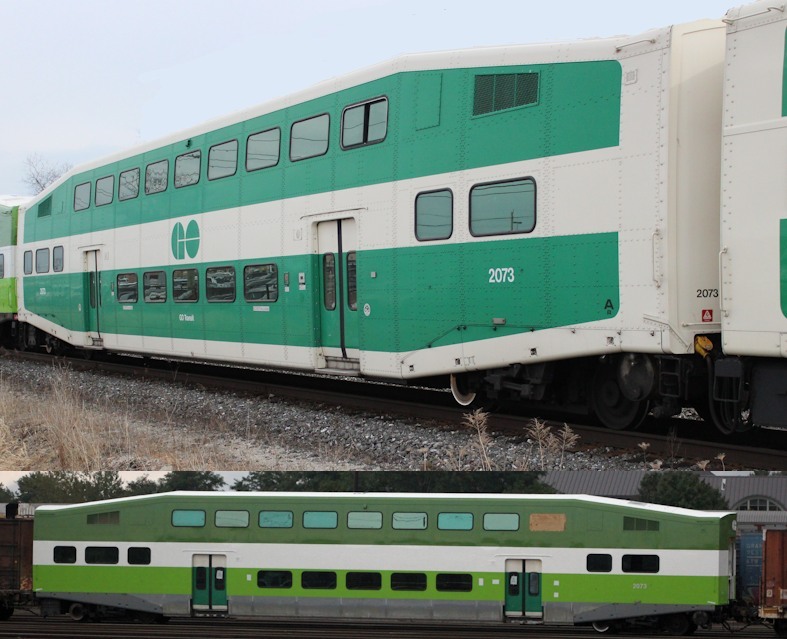 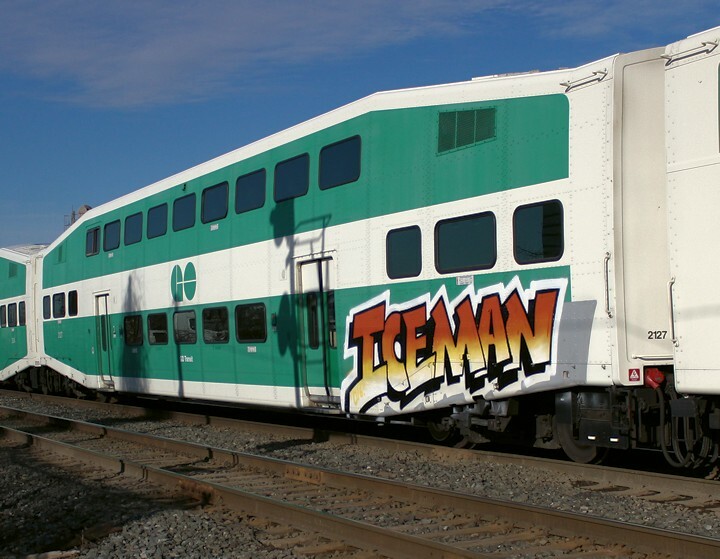 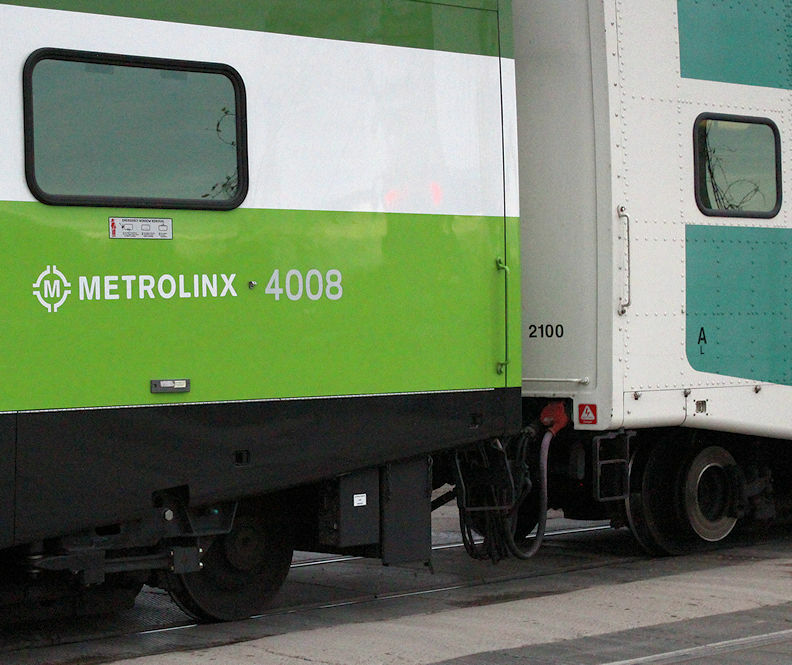 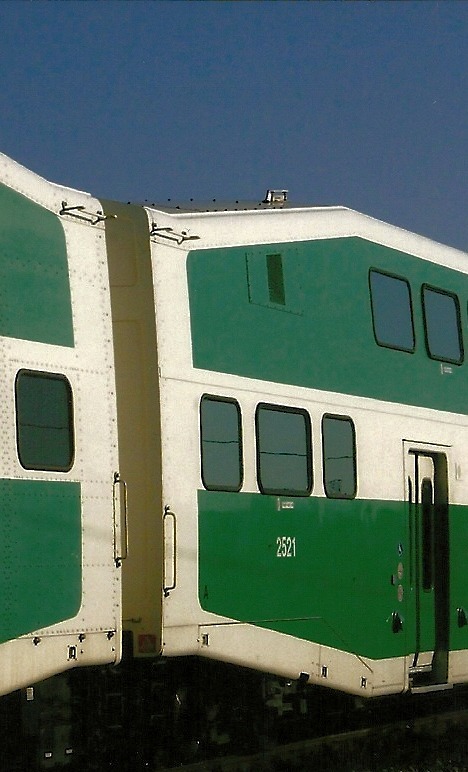 Soon GO will start a refurbishment program on all of the Bi-II cars in one contract. 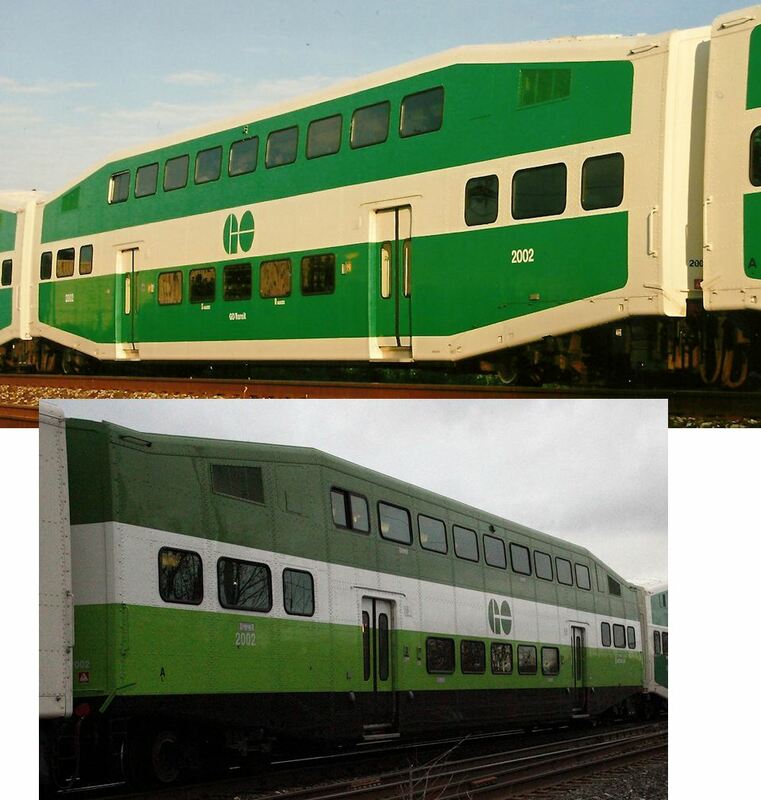 The Bi-I refurbishment was done in two contracts. 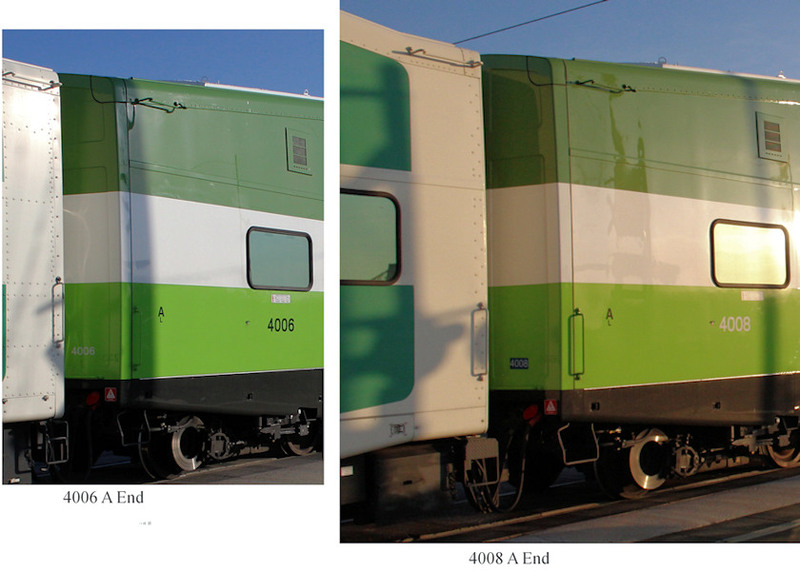 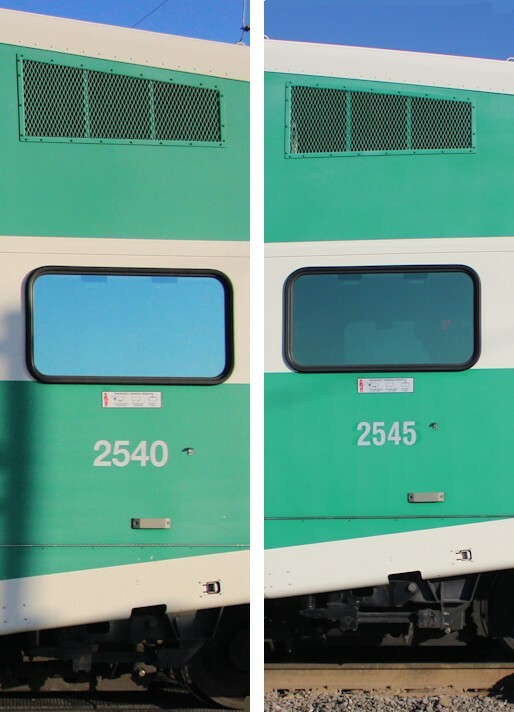 Note the difference in the coach number font/size after repaintings.